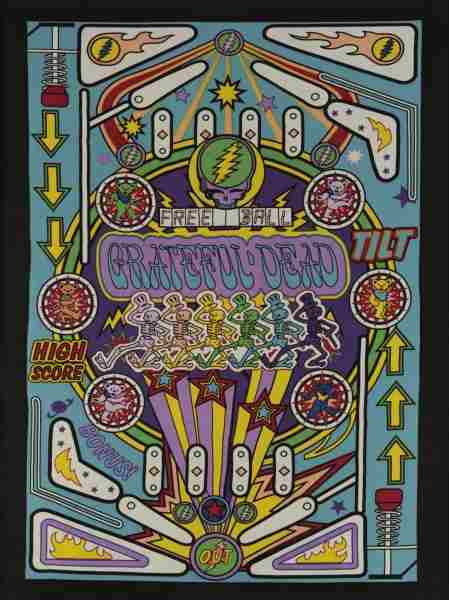 Probably what a Grateful Dead pinball machine would look like (How cool would that be?). 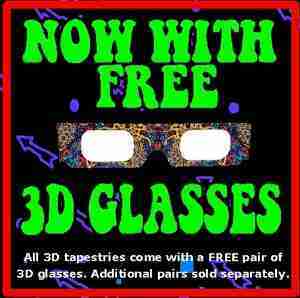 This 3D officially licensed Grateful Dead tapestry measures 30" x 45" and has corner loops on each end for hanging. It is made of 100% cotton. Perfect for any game room, dorm room, or even as a festi flag.